Manhattan District Attorney Cyrus R. Vance, Jr., the New York Police Department, the Office of Court Administration, the Legal Aid Society, and Grand Street Settlement today announced the second “Clean Slate” event, an upcoming warrant forgiveness opportunity where New Yorkers with open summons warrants for qualifying crimes can have them cleared from their record, without fear of arrest. More than 700 New Yorkers from all five boroughs came to the first Clean Slate event in November 2015 in Harlem, at which 409 summons warrants dating back almost 20 years were vacated. Clean Slate will take place this Saturday, April 30, 2016, from 9 a.m. to 3 p.m., at the Grand Street Settlement on 80 Pitt Street, near Rivington Street. District Attorney Vance was joined at this morning’s announcement by Supervising Judge Tamiko A. Amaker, Attorney-in-Charge of the Legal Aid Society’s Manhattan office Irwin Shaw, Chief Program Officer of Youth & Community Development for Grand Street Settlement Thanh Bui, Manhattan Borough President Gale Brewer, New York State Assembly Member Brian Kavanagh, and New York City Council Member Margaret Chin. In addition to the outstanding warrant, the underlying summons can also be resolved at this event without fines or other penalties. The presiding judge will issue Adjournments in Contemplation of Dismissal, or ACDs, which require the recipient to avoid new arrests for six months, before the dismissal and sealing of his or her case. Warrants for felony or misdemeanor charges cannot be resolved at Clean Slate, but Legal Aid attorneys will be present to offer free legal advice in an effort to help individuals resolve such cases. Additionally, Clean Slate will offer a resource fair with job training, healthcare information, and referral services on-site. Family members are welcome, and free prizes will be given away all day. 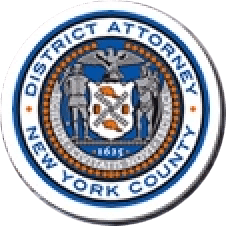 Open summons warrants from any of the five boroughs can be resolved at this event, regardless of one’s current residence or immigration status. There will be interpreters available on-site to assist Spanish, French, and Mandarin speakers, and translation services for other languages will also be available. Those wishing to clear open summons warrants must bring a photo ID, but it is not necessary to bring the original summons. For more information about Clean Slate and qualifying offenses, visit our website, or call 212-335-3310.